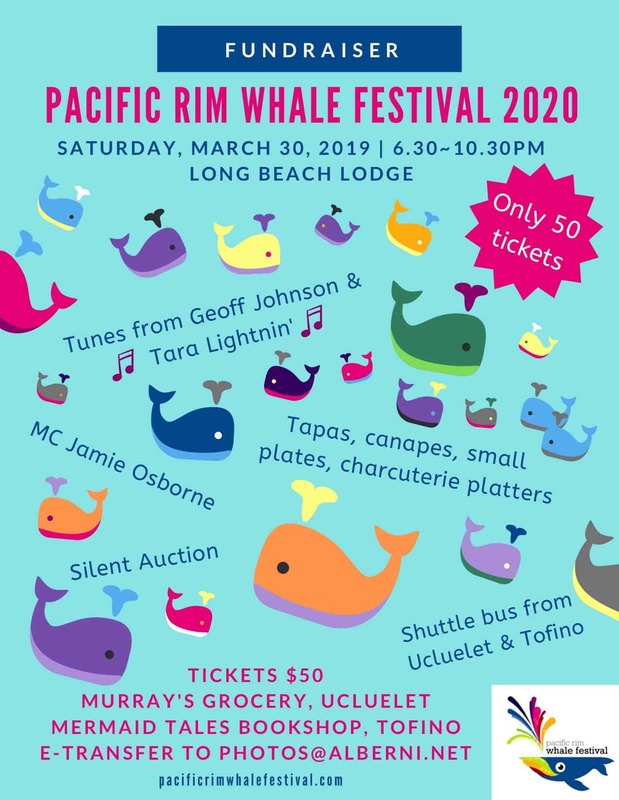 Join us as we fundraise to breathe new life into the 2020 Pacific Rim Whale Festival. We hope to see you at the event so we can once again continue to celebrate our coastal traditions, our unique environment, and the spring return of the grey whale. Enjoy live music from local talent Geoff Johnson and Tara Lightnin’, tapas, small plates and charcuterie platters and a chance to bid on fantastic charitable items at the events silent auction. A shuttle service to and from Tofino and Ucluelet will be provided.